Nintendo has confirmed the NES Classic Mini was re-released on 29th June 2018. We constantly check for Nintendo Classic Mini Entertainment System NES stock, so you don't have to. 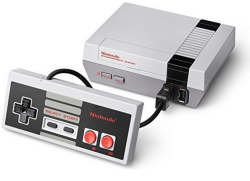 Receive email alerts when Nintendo Classic Mini Entertainment System NES online stock is found.